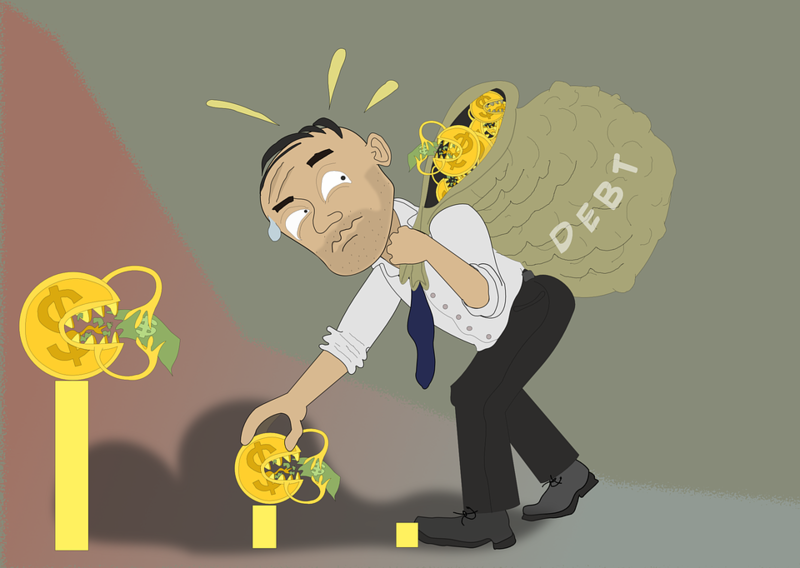 Debt has become the norm in the society. Did you know Two out of every five households carry credit card debt from month to month, according to the 2017 Consumer Financial Literacy Survey by the National Foundation for Credit Counselling? Developing a payment plan is pertinent. Depending on the nature of your debt, a short, medium or long term plan should be devised and set in motion. It is also important that your plan must be achievable and must be given an absolute commitment. A faster way to pay off your debt is to pay an amount above the minimum agreed amount. When you pay above the minimum agreed amount, it speeds up the due date. For example, you are to pay the debt of 100 pounds in 5 months with a minimum payment of £20 per month. If you add an additional £5 which becomes £25 monthly and stay at it, in 4 months you will be done as against the 5 month period. To pay off your debt, make an evaluation on your monthly cash flow. List your incomes and expenditures to know your outstanding balance. With the outstanding balance, decide on the fixed percentage of that should be allocated to payment of your debt. When you can no longer meet up with the terms of payment, it is best you make it known to your creditor on time so that other service available on how to manage your debt can be made available or terms renegotiated. You do not have to wait until when payment deadline is near, and debts are still yet to be paid, the penalties become unavoidable. Debt payment is possible if the above strategies are considered executed accordingly.